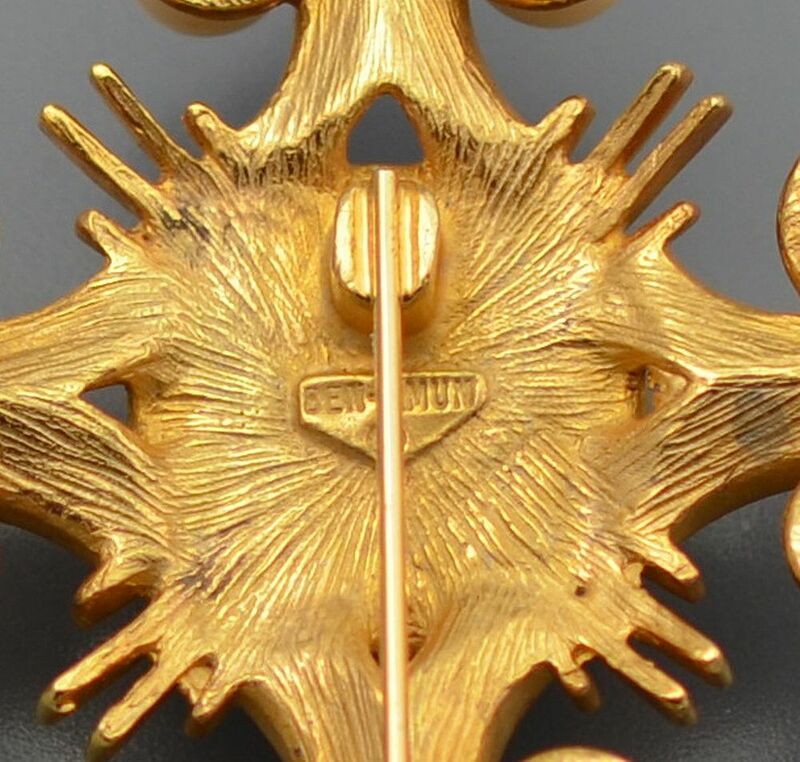 This absolutely fabulous gold plated pin is made by the American designer Ben Amun. 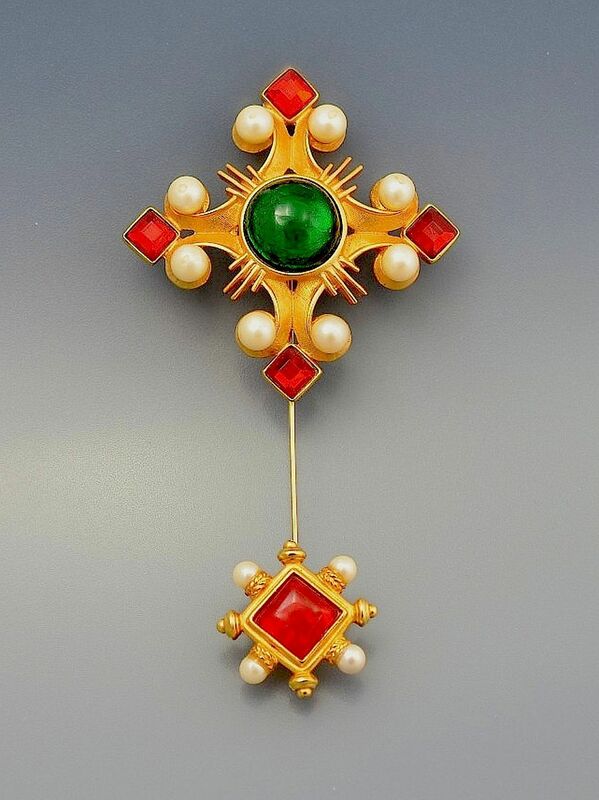 Made in the 1980s as part of their "medieval" collection, this influence clearly shines through - the top section that is attached to the pin, is a stylised cross with a large central green cabochon with faux pearls and red paste finials. The bottom detachable element is a smaller stylised cross with a central red paste cabochon and faux pearl and goal plated finials. This would look particularly great on a hat.